→What are the Best CFA® Mock Exams to Use? 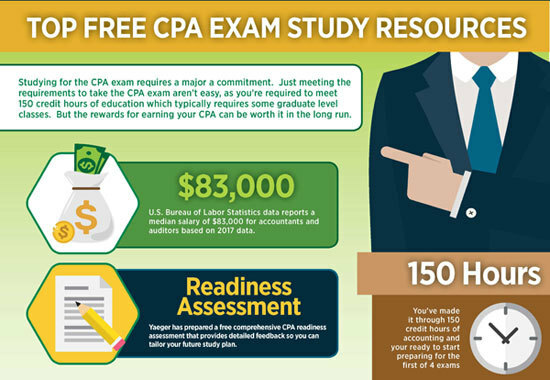 Earning the CFA charter requires a tremendous amount of time and effort. On average, candidates needed at least 300 hours of prep time to pass each level of the exam. The level I exam includes 240 multiple choice questions tested in two 3 hour sessions. In order to prepare yourself for this mental endurance, you need to regularly take mock exams to build your stamina. This article explains the value of practice tests and how to choose the best CFA mock exams for your learning style. When you sit down on test day, you will have just 1.5 minutes to answer each multiple choice question on the exam. While that may seem overwhelming, the key to meeting the challenge is by regularly practicing test questions. When I studied for the CFA exam, I used a large database of CFA test bank questions for two important reasons. The first reason was to test my knowledge level of a particular subject. For example, I could see where I stood on Quantitative Methods by taking a 20 question practice test using just a random sample of Quantitative Method practice questions. If I scored high, it was a decent indicator that I had a good handle on the material. If I scored low, I knew that I needed to go back and spend more time reading the core subject material. After spending more time reading the original text book sections, I could back and re-take more practice questions to see how well I could retain the new material in my memory. The other important reason to regularly use mock exams with your study plan is to build your attention and focus to remain sharp throughout a 6 hour exam. When you start studying for the CFA exam, you will find it difficult to keep your mind focused on the multiple choice questions for a long period of time. 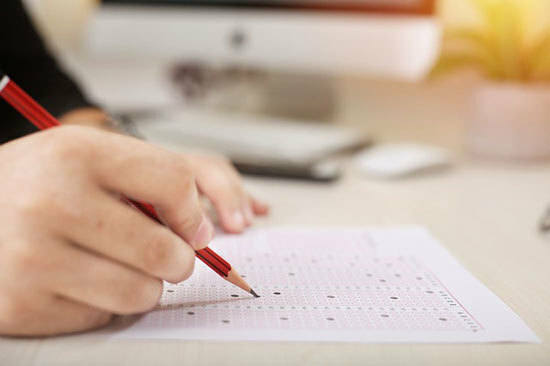 The best way to build your test taking endurance is by regularly practicing with sample tests that have the same number of questions you will see on exam day. You can also adjust the questions to match the CFA topic weights. That means you want to periodically create mock exams with 120 multiple choice questions and give yourself an uninterrupted 3 hour window of time to take the exam. I found the best time to do this was on a Saturday or Sunday a few times each month. CFA Institute Approved Provider – The CFA Institute maintains a list of prep course providers that maintain minimum standards of quality. Product Options – Most prep courses offer a choice of a bundle or a standalone product. The bundle option packages a variety of study material together. The bundles typically provide a small discount compared to the cost of purchasing each product included in the bundle individually. Number of Mock Exams – Keep an eye out for the number of full length mock exams that are provided with your purchase. Taking a full length practice exam is much different than periodically practicing a smaller number of practice questions. Access to extra full length mock exams can make a big difference in your preparation. Size of the Practice Question Database – If your question universe is small, you run the risk of seeing the same questions repeated. When you see the same questions, your brain recognizes the answer rather than understanding the subject material. Brand Recognition – The larger and more well known prep courses charge a premium for their brand name. By selecting a less well known option, you can save a significant amount of money. This can make a real difference if your not being reimbursed from your employer. All included mock exam options are listed in the CFA Institute Approved Provider list. Over 2,500 practice test questions. 50 test question solution videos. Predictive analytics to measure your strengths and weaknesses in real time. Access to the community question forum where questions are answered by instructors. The Practice course is a great option for students looking for an extra practice question database to supplement their study program, but don’t want to pay a premium for the questions. Click here for more information about the Practice course. The Learn course includes all the features from the Practice course as well as over 40 hours of video lectures covering each section of the exam, and access to study notes covering all ten core subjects on the exam. Includes all features from the Practice course. Study notes broken into 60 sections that cover all 10 topic areas of the exam. Over 225 video lectures that span over 40 hours. The Learn course makes a great choice for students looking for additional study material and video lectures to round out their study plan. Click here for more information about the Learn course. The Complete course includes all features included in the Learn course but includes one free course renewal in the event you don’t pass the exam. This is an important consideration because the pass rates for Level I are less than 50%. By purchasing the Complete course, AdaptPrep gives you one extra renewal at a 50% discount from the regular cost. Click here for more information about the Complete course. For more information about AdaptPrep, you can also read our full review. Candidates that are interested in comprehensive study material with an innovative technological platform may prefer Bloomberg’s CFA prep course. This course includes comprehensive study material with an adaptive learning platform that incorporates your individual mastery of the material to design a highly efficient personalized study program. The benefits of the algorithm can be significant. Rather than spending time reviewing all the material in full, you can be more efficient by using your time to focus on your weakest subjects. When holding down a full time job and studying for the CFA exam, saving extra time by being more efficient can make your life more balanced. All core study material and video content. Question test bank includes 13,000 practice questions. 20 ask a tutor questions. 6 full length mock exams. Bloomberg also offers more premium course features that include access to up to 10 mock exams and 2 private tutoring sessions. For more information about Bloomberg’s CFA course, click here. Kaplan Schweser represents the market leader in the CFA prep course industry. However, keep in mind that the brand name carries a premium product cost. Schweser offers students a range of comprehensive bundled courses as well as the ability to purchase individual products such as the test question bank. Access to the Schweser app. Practice Question bank with 3,800 questions. 4 full length mock exams. 5 volumes of comprehensive study notes. Quicksheet formula sheet with the most important formulas to memorize. For more information, see our full review of Schweser. Question bank with 3,000 questions. Keep in mind that Analyst Prep does not offer video lectures with their course. However, if you’re looking for access to extra test questions and mock exams at a lower price point, Analyst Prep makes a great option.